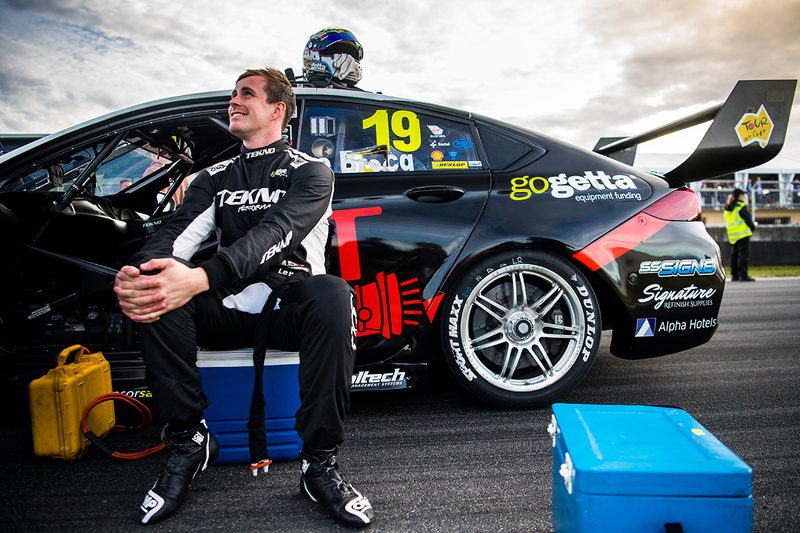 Triple Eight’s three Supercars drivers inspired Jack Le Brocq’s decision to revert to right-foot braking after four years on his left, three events into his full-time Supercars career. 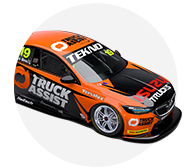 Le Brocq’s Tekno Autosports is a Triple Eight customer, with its call to buy a new ZB Commodore in full spec based on helping the Dunlop Super2 Series graduate get up to speed. With a best grid position of 18th and 20th from his first two events, a decision for Le Brocq to switch back to right-foot braking is a bid to remove another unknown. 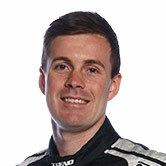 The 23-year-old was one of the stars of Saturday at Symmons Plains, qualifying ninth and finishing 10th, the best results for any of 2018’s five rookies so far. “I was struggling adapting to how these guys (the Triple Eight drivers) were setting up the car and going about it and getting the speed from the car,” Le Brocq told Supercars.com. “The only thing different from me to them was left to right foot. “We made a bit of a decision after the Grand Prix to give it a go. “Me and Campbell [Little, engineer] spent a bit of time on the sim at McElrea Racing there and thought we’d give it a go. “It hasn’t been too bad, I feel a bit shaky at times with getting the car stopped but we haven’t had too many dramas with it so far. “I did my very first round of Super2 right-foot braking back in 2014 and from there on in it’s been left foot the whole time. Le Brocq finished Saturday’s 50-lap race with a visible limp in his right leg, but treatment in the aftermath helped, and will be followed by more on Sunday morning. He acknowledged “the muscle memory’s not quite up to where it should be” in his right leg, but is confident Sunday’s longer race won’t pose any problems. Preparation for the switch included “three or four hours” in McElrea’s Motionforce simulator, split into two sessions. “It’s always different when you get into an actual racecar and you get thrown around, there’s a lot more Gs and everything like that as well, compared to a simulator,” he said. “The sim was good, it helped, it gets the brain thinking and the pattern working. 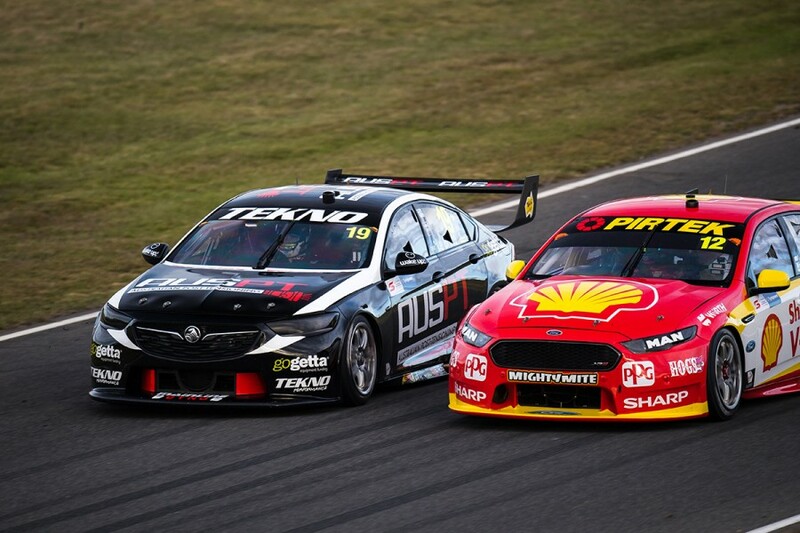 Le Brocq mixed it with established drivers throughout the race, and ultimately finished just behind Scott McLaughlin in a group that spanned sixth to 11th. Noting that was “cool”, Le Brocq opted to be conservative given his lack of right-foot braking familiarity. “It was the first time I was driving around other cars doing the whole right-foot braking thing,” he said. “It’s hard, I suppose, to get the confidence to actually put it down the inside and know you’re going to stop at the other end. “I just lacked a bit of confidence in that and the position where we were, we were running quite strong, unless an opportunity presented itself I didn’t want to do anything too silly to muck it all up.